Hey, it’s Marie from Make and Takes here. 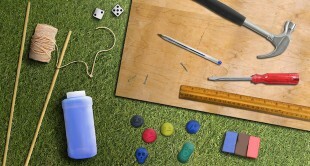 I’m happy to be sharing a fun kid crafty tutorial helping you get ready for back to school. Our first day of school is just around the corner and we want to shower our teachers with a welcome gift. 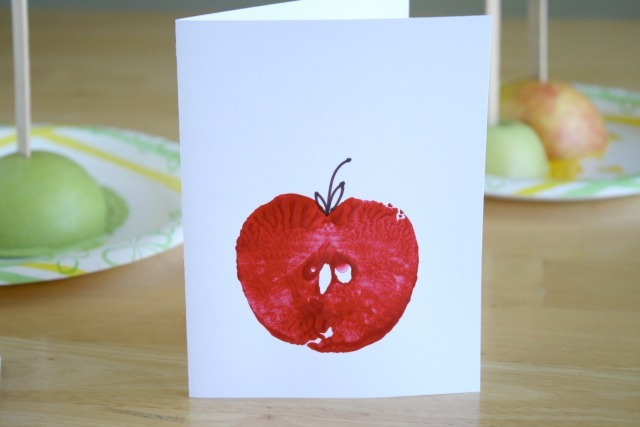 How about some super cute kid-made greeting cards? 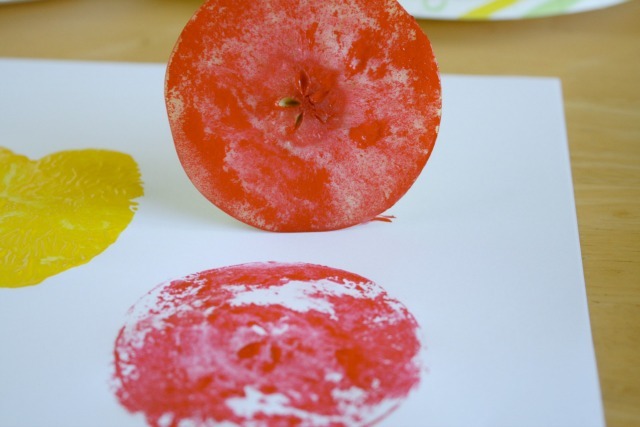 We’re using apples to make festive apple printed cards with paint! 1. Cut your apples in half, (adult use only). You can cut them vertically or horizontally. Either shape of the cut apple has a different and fun look for a stamp. 2. 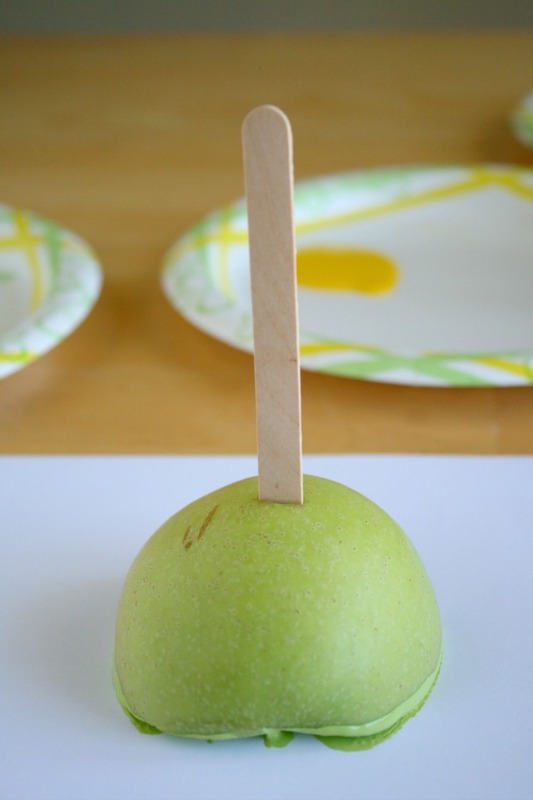 Place a popsicle stick into the back of your apple to use for a handle when dipping and stamping. 3. 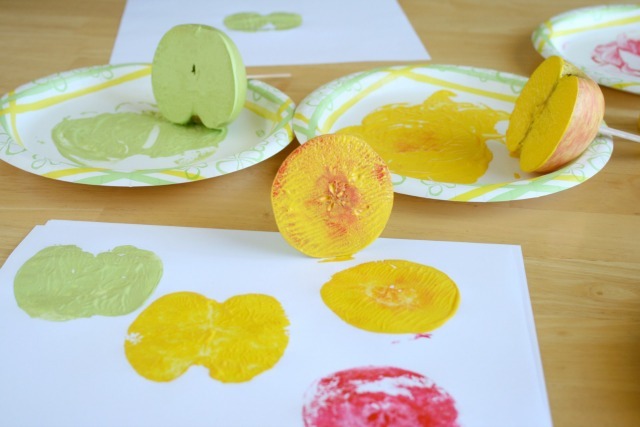 Add paint to your paper plate and dip your apple into the paint. 4. Press your painted apple onto the front of your blank card. Make sure you press on all edges of your apple to get the paint stamped all around. 5. 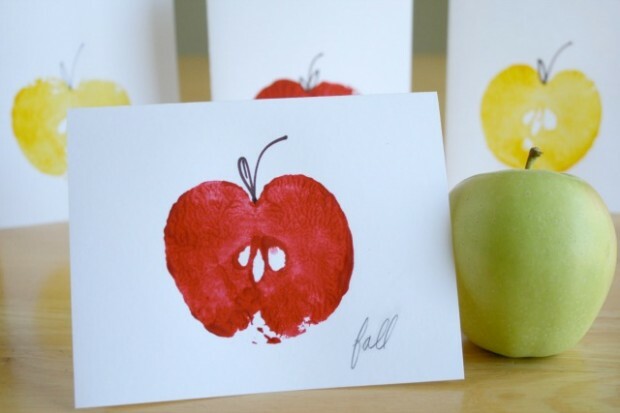 Lift up your apple and see your fabulous apple stamps. Let the paint dry completely. 6. 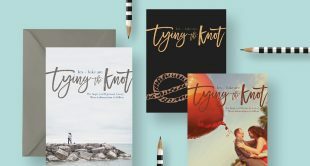 Add text to each of your stamped cards and package them together as a set for teacher. Place them into a cellophane bag and wrap with a ribbon. 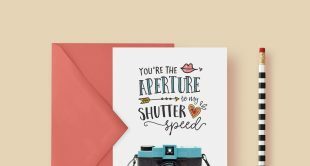 Now our teachers will have a few greeting cards they can gift out to others! For a few more apple craft ideas, see our Apple Yarn Pom Poms, Apple Shaped Cupcakes, or Applesauce Cookies – all great ideas to gift our teachers! 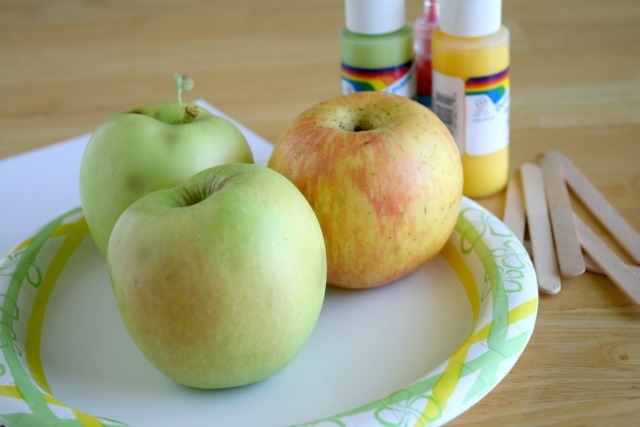 Want more great fall DIYs? 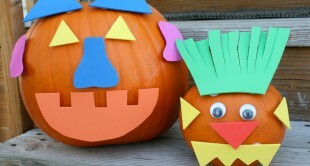 RSVP for my CreativeLive class, Halloween Crafts & Party Ideas, October 3-4!